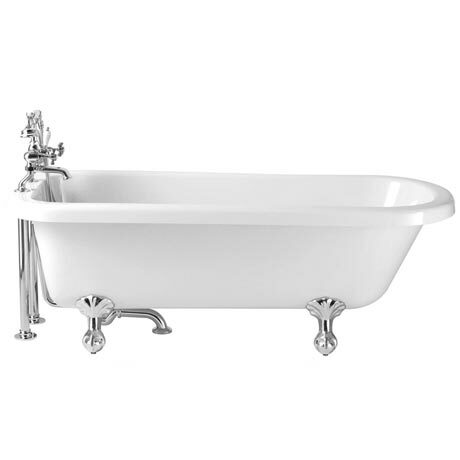 The Luxury Perth 1670mm single-ended 2 tap hole free-standing roll top bath with stylish chrome ball and claw feet. Heritage's luxury bath collection contains some of the most beautiful bath designs available today. If you want to make a statement with your bath design, then choose from our quality collection. Made with double skinned Acrylic.